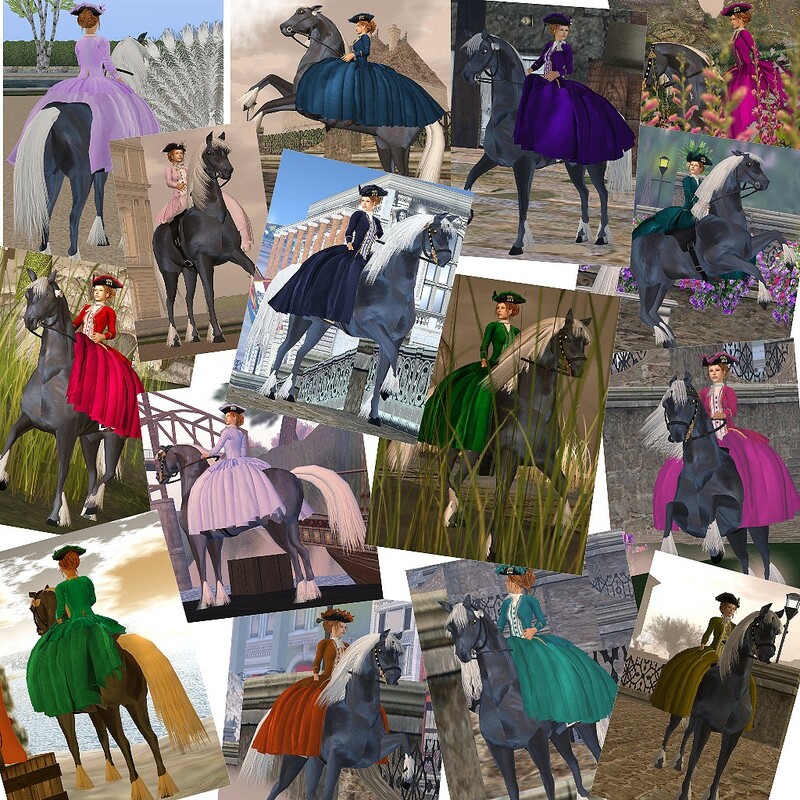 I’ve just released a new dress! The ‚Brotherhood‘ riding habit is a typical Rococo uniform riding habit. It comes in no less than 29 colors! As already mentioned (and visible in the pictures above!) 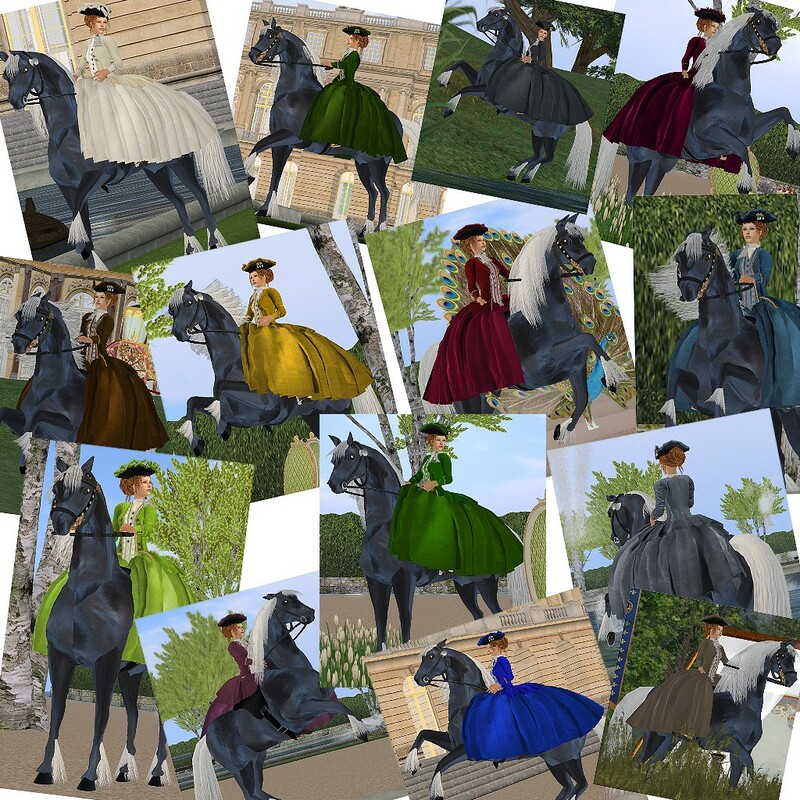 the dress comes with several skirts – one for walking, and two for riding (sidesaddle- and astride for horses that attach to the pelvis, like the AKK horses).